Finally there is a convenient, environmentally safe way to dispose of your pet’s waste while rebuilding your soil on a microbial level. EnsoPet is an in-ground composting system comprised of recycled plastic which is buried in your back yard. It composts all pet waste such as dog, cat, rabbit and guinea pig waste, keeping your yard do-do free, while returning carbon to the soil. It’s discreet design requires little space in the garden or lawn. 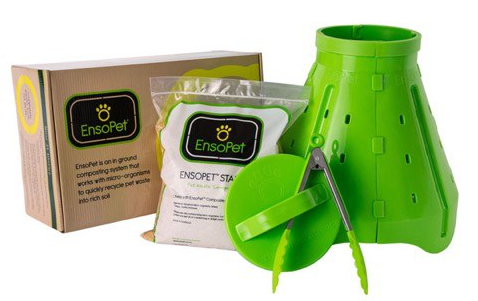 The EnsoPet Starter is made in Australia using a mixture of wheat, sawdust and minerals combined with the all-natural micro-organism. 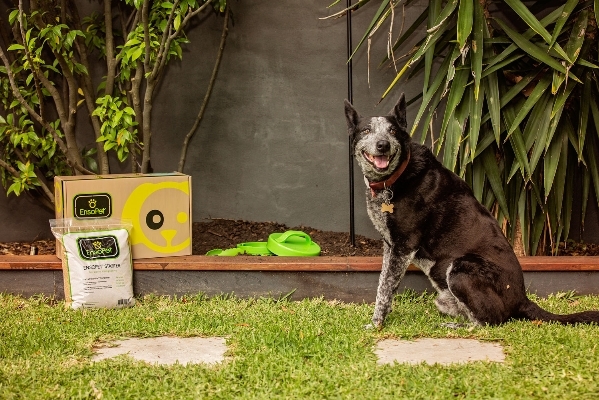 It works to accelerate the breakdown of the waste, eliminate smell and help rectify any pathogens in your pet waste, ultimately contributing to a healthier soil and a more beautiful garden. The starter includes lactic acid bacteria, yeasts, photosynthetic bacteria, actinomycetes and fungi. The side sections have been specifically designed with holes to allow access for moisture and worms. Assembling the EnsoPet composter is very easy. The 4 sides simply clip together creating a bottomless cylinder. The lid fits neatly on top of this cylinder. Select a spot in your garden away from edible plants and phosphorus sensitive native plants. Dig a hole 40cm deep and 40cm wide. Place the EnsoPet composting system into the hole, so that only the lid is sitting above ground. Fill in the soil around the outside. By composting your pet waste with EnsoPet you will be greatly improving the quality of your soil with microbes present in the starter. If your soil is in poor condition, this improvement may take a few weeks. 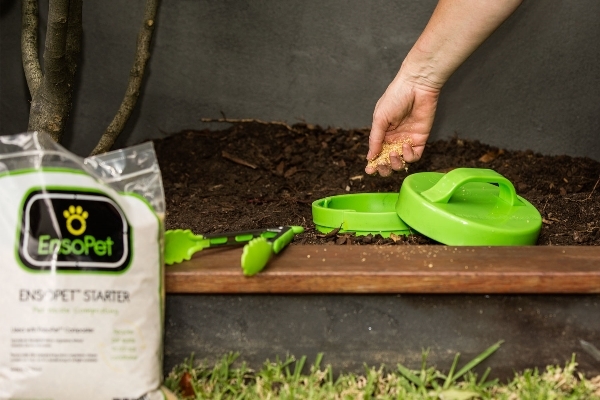 We suggest adding some carbon rich organics such as dry leaves, fine bark or potting mix to your EnsoPet to assist with improving the soil condition. As the condition of your soil improves the breakdown of the pet waste will be quicker. Similarly, if you have a lot of pet waste or more than one pet, installing a second unit may be required. Or if you simply want to improve the soil in another part of your garden you can add an additional unit.